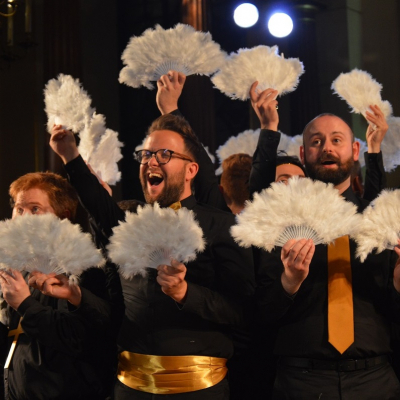 The London Gay Men's Chorus Ensemble performs at the Camden Fringe Festival for the very first time. The LGMCe celebrates the joy of musical theatre in their uniquely humorous way. Expect vocal fireworks, sparkling harmonies and unforgettable 'choral-ography'! Witness the West End as you've never seen it before!